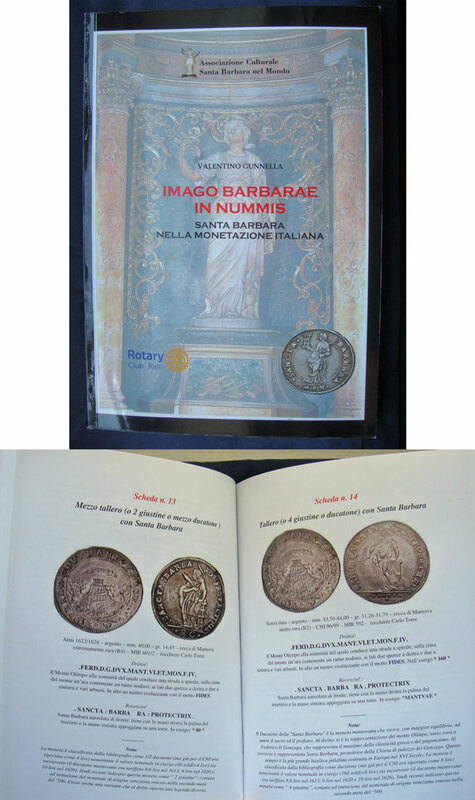 Imago Barbarae in Nummis: Santa Barbara nella Monetazione Italiana by Valentino Gunnella and published in 2017. 136 page softcover, new condition, 6" x 9". The image of Saint Barbara appears on the parpagliole, giuli, testoni, sesini and talleri coined by the Mint of Mantua and by the peripheral Mints of the duchy of Gonzaga between the third quarter of the sixteenth and the middle of the seventeenth century, showing the devotion for the saint to whom a church in Mantua is also dedicated. Written by Valentino Gunnella and sponsored by the Rotary Club Rieti, it is the result of two years of painstaking work by the author with important artistic, historical and cultural references.